Super Eagles international footballer, John Ogu is currently having crisis in his 2-year-old marriage. As at the time of filing this report the young couple have deleted all their photos and unfollowed each other on social media platform, Instagram. 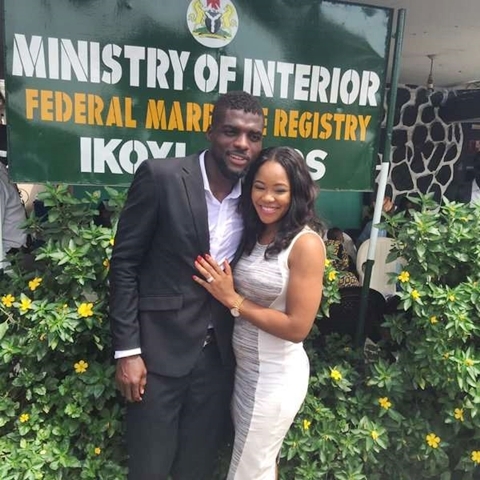 "The two year old marriage of footballer, John Ogu to his wife, Vera, is reportedly in crisis. 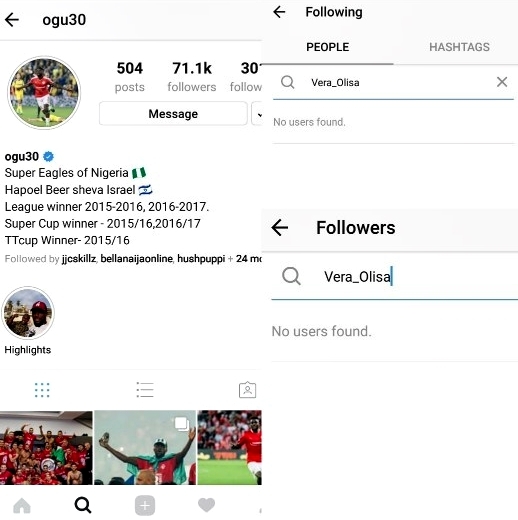 John and Vera who got married in December 2015, have deleted photos of themselves on their personnal instagram pages and also unfollowed each other. They had their civil wedding at Ikoyi registry in November 2015. John who prior to this time flaunts his family online, has ceased from posting photos of Vera on his page. He has also stopped wearing his wedding ring. Vera who moved to Israel after their wedding, has relocated back to Nigeria and is said to be residing with her parents now somewhere in Festac town, Lagos. 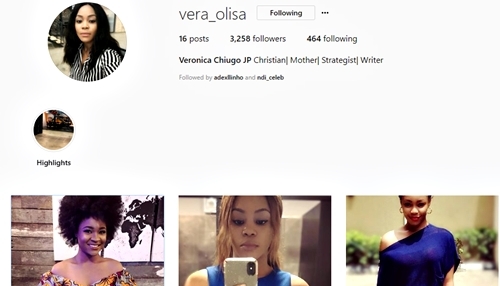 She has also reverted to her maiden name, Akaolisa, on her Instagram page. She has also removed wife from her IG bio. There are reports that John has returned Vera's bride price. John made news in October 2015 when he proposed to Vera on the field after a match. The reason for the marital crisis is yet unknown. Hopefully they get to resolve whatever issues that they are having."